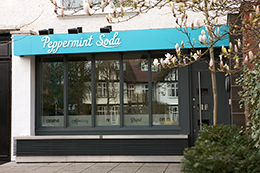 We’re always looking for our next Peppermint. So, if you’re searching for a new challenge and a new home, drop us a line. Go on, what have you got to lose? Tell us something different about yourself; explain why we’d be crazy not to have you. Are you artistic, a geek, a budding writer, a PR aficionado, creative genius, or all of the above? We want to hear from you.